Caption slip reads: "Photographer: James Brezina. Date: 1959-08-30. 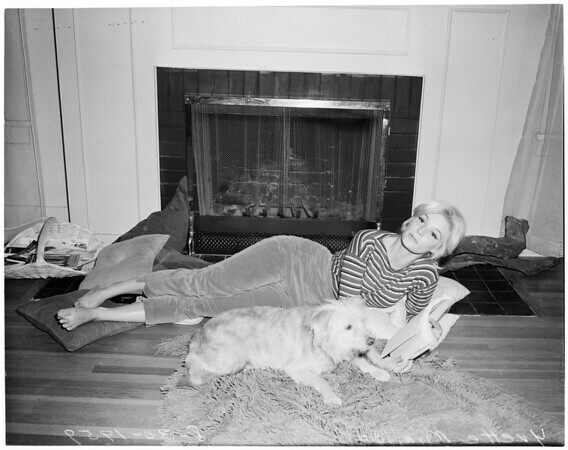 Assignment: Yvette Mimieux, MGM starlet. Actress Yvette Mimieux, shown with bike in park, painting, rehearsing, in front of mirror, and leaving home for studio".